Home > eBooks > Childrens Fiction > School & Education > The Best Friends! The hugely popular Sleepover Club series is back with a brand new story and a gorgeous new look. 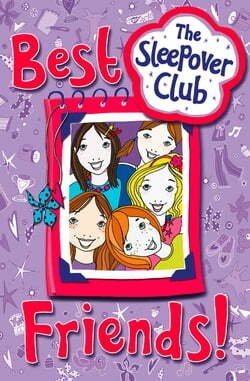 Meet Frankie, Kenny, Fliss, Rosie and Lyndz - five best friends who just want to have fun!In this new introductory story from series originator Rose Impey the five girls have their first ever sleepover... read more together and become the best of friends. When their school rivals, the horrible M&Ms, steal their club mascot, the girls are determined to get revenge...As well as a great story this book tells you how to have your own brilliant sleepover party - with a list of things to bring, food to eat and games to play, you and your friends are guaranteed to have a fantastic time.